Food pantry at the San Gabriel Unified School District will be evicted to make way for a fitness center, Amanda Baumfeld reports. Of the 10 local San Gabriel Valley cities that are members of the National League of Cities, only Claremont, Duarte and Baldwin Park participate in the organization’s free prescription drug discount plan. Read more. No West Covina employee, including those in public safety, will be immune from job losses. Read more. Local travel agencies are reporting a slowdown in trips to Mexico because of fears from the swine flu. Read more. Azusa library staff tosses out 600 books. Read more. This week, I’m working on a story about pension costs among our local cities. During an interivew with Edward Fong of the California Public Employees’ Retirement System, he mentioned that fire fighters and police officers up and down the state don’t contribute, and therefore aren’t eligible, to receive Social Security. This explains why pension plans are typically more generous for fire fighters and police officers than non-sworn employees, Fong said. Another group of public employees exempt from Social Security is teachers, Fong said. Candidates for the 32nd Congressional seat keep trucking along, even though Judy Chu and Gil Cedillo appear to have gotten a lot of media attention over the past few weeks. Covina resident and former Covina Councilman Dave Truax, who is running for the 32nd Congressional seat, is hosting a meet and greet “dessert reception” from 7 p.m. to 9 p.m. at the home of Steve and Donna Cayson, 1524 E. Algrove Street in Covina. Tonight, candidate Teresa Hernandez, a West Covina native, will have an event from 6 p.m. to 8 p.m. at the South El Monte restaurant, Cielito Lindo, 1612 N. Santa Anita Ave. Among those in attendance will be Sen. Bob Huff, Covina Mayor Walt Allen and Rosemead Mayor Margaret Clark. The June 2010 primaries are still far out, but a few local pols have already thrown their names in as potential candidates for the 57th Assembly District race. La Puente Mayor Louie Lujan, West Covina Mayor Roger Hernandez and West Covina Councilman Steve Herfert have all filed statements of an intent to run for the seat, according to documents filed with the California Secretary of State. Assemblyman Ed Hernandez – who lives in West Covina and has an optometry office in La Puente – currently holds the seat. Herfert and Roger Hernandez could not be reached for comment Friday. Lujan said he decided to file the intent after supporters and colleagues around him encouraged him to run. “I’m interested but I haven’t made my mind up yet,” Lujan said, adding that if Ed Hernandez were to run again, Lujan would drop his bid. Mayor Manuel Lozano is off the hook on a 2007 all expense-paid trip he took to China – at least for now. The District Attorney’s office has concluded its probe and found that Lozano did not have to report his trip on his statement of economic interests because the Chinese government paid for it – not a local businessman like Council critic Greg Tuttle alleged. The California Fair Political Practices Commission is still doing its own investigation. Tuttle isn’t too happy about the DA’s decision, and criticized them for relying only on witness statements for proof. “The DA dropped the ball … Unless I do everything except file the charges and put them in the courtroom, then they don’t want to mess with it,” he said. Lozano called Tuttle a “congenital liar” and said he’s consulting with attorneys about suing Tuttle for defamation of character. Lozano also said he knew all along the Chinese government foot the bill – even though Lozano said in previous interviews that a Rowland Heights bank paid for the trip. “I guess I just didn’t explain myself,” he said. Tuttle said he has no hidden agenda, his complaint was all about Lozano’s travel to China and nothing more. A campaign staffer for Emanuel Pleitez got a bit of a tongue lashing from West Covina council members last week after he used an emotional discussion about potential employee layoffs as a campaign pitch for Pleitez, who is running for the 32nd Congressional seat. JC Stiassni spoke on behalf of Pleitez during the public comment portion of a meeting, following the testimony of employees who were upset over a proposal by Mayor Roger Hernandez to protect only public safety employees from layoffs. That’s where Stiassni came in with a story about Emanuel’s own plights growing up. Councilman Mike Touhey wasn’t amused. He lambasted the staffer for wasting public comment time, and said it was insensitive for Stiassni to use that time to campaign. Pleitez’s Press Secretary Emily Dulcan said speaking at public meetings is a campaign strategy. But in hindsight, she said, it probably wasn’t the best timing. At last week’s city council meeting, about 10 West Covina city employees expressed their angst after seeing an item placed on the agenda to protect the jobs and contracts of public safety employees. Problem is that the item, put on the agenda by Mayor Roger Hernandez, didn’t make any mention of the non-sworn employees — and it is their contracts who are up in June. Public safety employees’ contracts aren’t up until 2010. Hernandez said that he only put the item on there because “95 percent” of the comments he heard from employees fearing their jobs came from public safety, and he later said that he would have no problem adding non-public safety employees to his resolution. The whole thing was sparked after City Manager Andrew Pasmant held informal discussions with city employees to discuss ways employes and departments could account for savings as the city expects to face a $9 million deficit. In the end, the council voted down Hernandez’s resolution, and also accused him of being devisive and politicizing the issue. The voter registration deadline for the consolidated and special May 19 election is on May 4, according to the Los Angeles County Registrar. 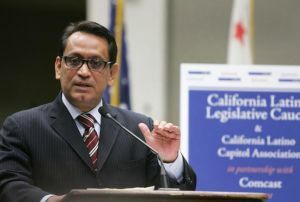 President of the Center for Governmental Studies Robert Stern called for more restrictions in a story written by Rebecca Kimitch that shows Sen. Gil Cedillo’s staffers have used a loophole in campaign finance laws that allows Cedillo to buy gifts with campaign donations. Cedillo is running for the 32nd Congressional seat. Cedillo and key members of his legislative staff annually exchange gifts during the holidays, staff members have said. But while the staff members pay for their gifts to the state senator themselves, Cedillo uses contributions from donors to buy his staff members’ gifts. According to public records, Cedillo has spent nearly $15,000 of campaign contributions over the past six years at Banana Republic, Nordstrom, Bloomingdales, Ann Taylor and a handful of other high-end retail stores. Cedillo said all of the purchases were gifts for his legislative and political staff, as well as other lawmakers. Daniel Savage, Cedillo’s chief of staff, said he has regularly received gifts from Cedillo – a shirt and tie every year for Christmas. Savage, who has known Cedillo for decades, said he reciprocates with the same. Secretary of Labor Hilda Solis will be returning to her alma mater on Saturday — La Puente High School — to talk to community members about education and her accomplishments. Solis is the first Hispanic Labor Secretary and the first Latina cabinet member of any presidential administration. 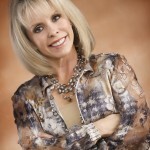 She also has deep roots in the SGV, as a graduate of local secondary schools and colleges. It should be a big turnout. Wonder if any of the dozen people running for her former Congressional seat will be there? Residents in Bradbury, Duarte, El Monte, Irwindale, Monrovia, Rosemead, San Gabriel, San Marino, Temple City and some Los Angeles unincorporated areas are being hit with a 56 percent water rate hike. Read more. As some cities struggle to get their tagging under control, West Covina has been combating it with volunteer Glenn Kennedy, the police department and the hired clean-up company. Read more. San Gabriel Valley’s only pot dispensary closes up shop after a judge granted a temporary restraining order. Read more. Montebello OKs metal recycling plant in an industrial area. Read more. 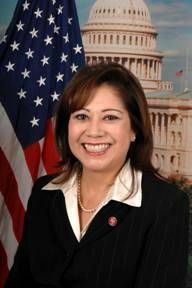 Newly appointed Labor Secretary Hilda Solis will come back home at 2 p.m. on Saturday and give a talk at La Puente High School titled, “Pathways to Success: Achieving Goals through Education.” Solis was the first in her family to go to college and attend Cal Poly Pomona. Read more. Baldwin Park Mayor Manny Lozano cleared by District Attorney’s office, which investigated a 2007 trip taken by Lozano to China. Read more.